Guest author Olivier on TS M/V Lutin. This piece is for The Writer's Block. It's written by an online friend. 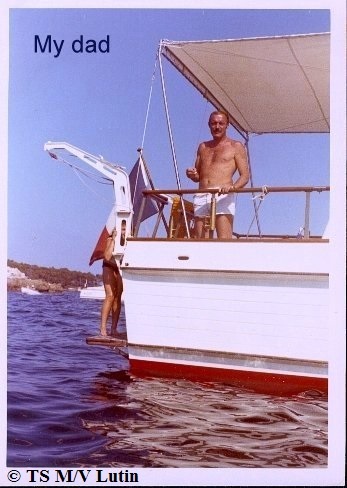 Captain Olivier's family like my own has a long history on the water. 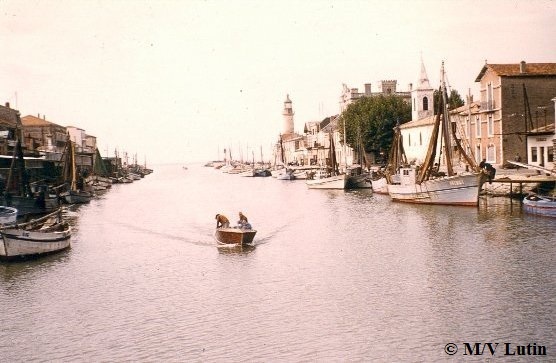 He kindly shared pictures of his cruising grounds and family boats from way back when... Thanks Cap'n. 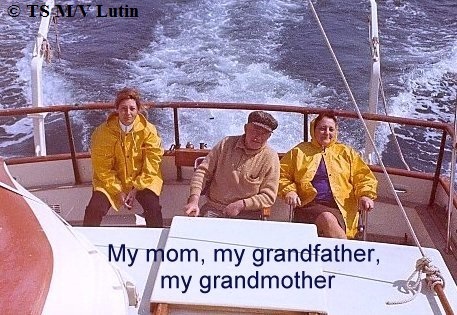 LUTIN ("elf" in English) was the name of my grandfather's boat (my mom's father). My grandfather was a wonderful, interesting, caring and generous who learned me everything about boating and more. 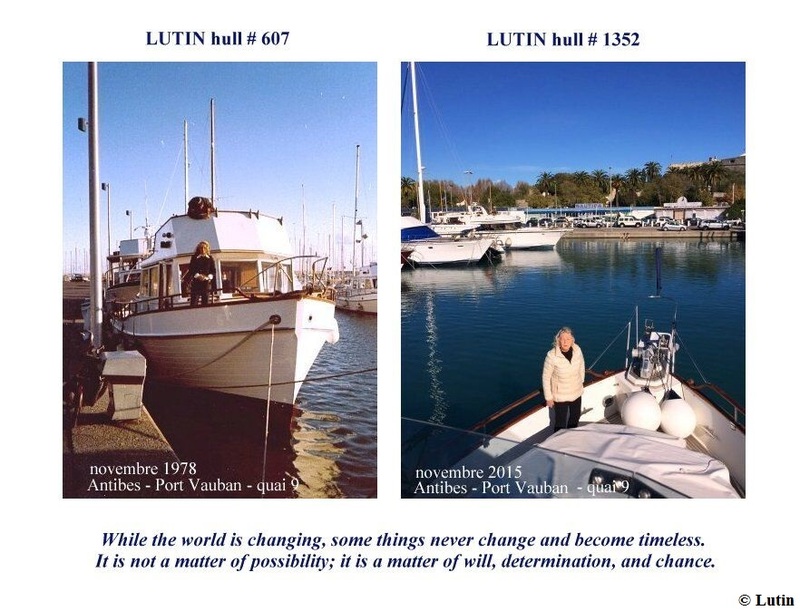 My father named each of his boats LUTIN, so do I. About my dad's picture on his 42' Grand Banks woody, it was my cousin on the swim platform. Side Note from Janice: Woody is a term meaning the hull of the boat is constructed of wood. Most boats pre-1960 are wooden though larger ships might be steel. I was behind the camera. I took the pic, from the tender of the boat. 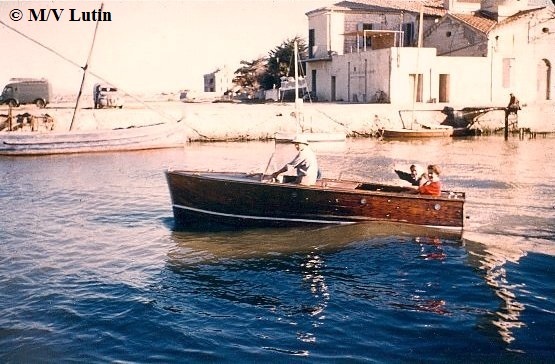 I remember my Dad's boat was at the anchor between Lerins Islands what are the 2 islands in the bay of Cannes, the city where is the film festival. 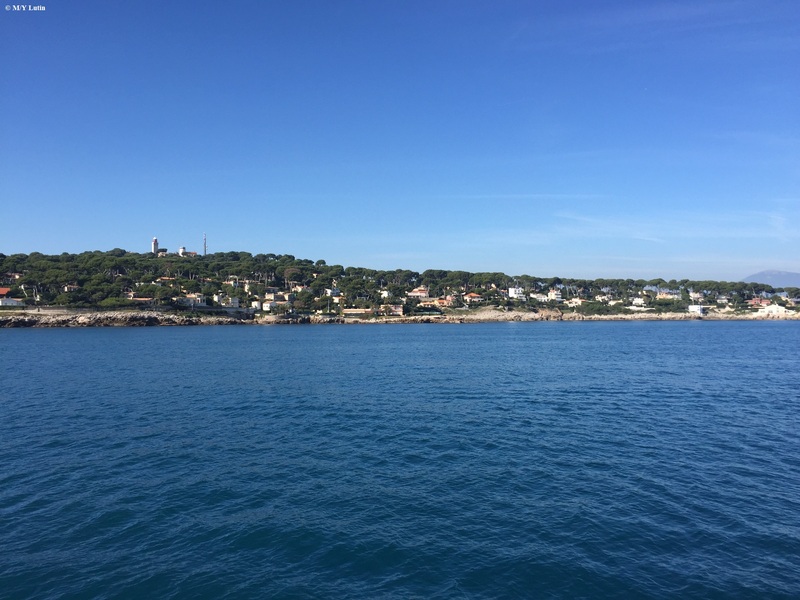 I do remember very well the week we spent around of Cannes, my dad and my mom were very happy, we had fun time all together aboard, with a beautiful sunny weather. 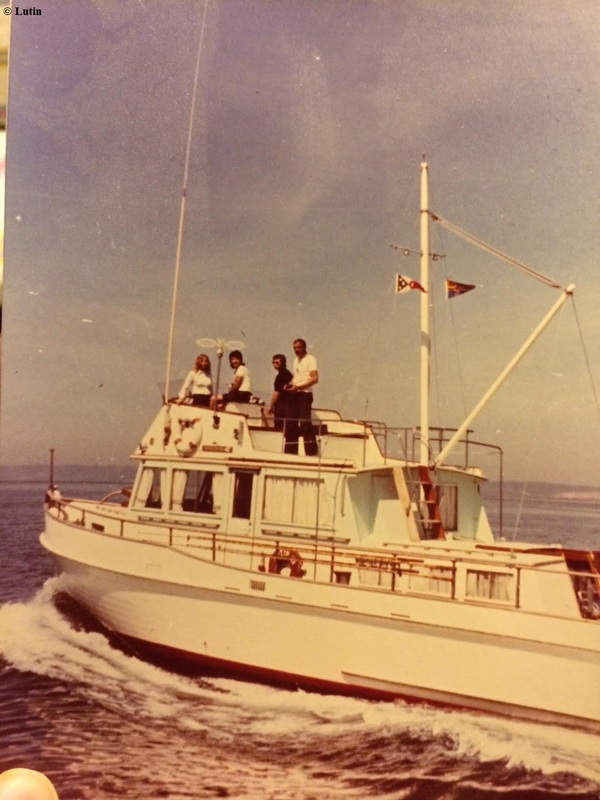 Mom, Helene, Olivier and Dad aboard a Lutin in July 1971. I am glad you liked the old pictures I sent you, it was my pleasure to share them, especially the ones of my grandfather's runabout, and my dad's GB.